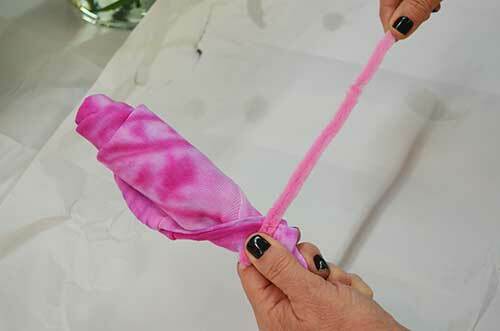 In need of some fun crafts for your baby shower? 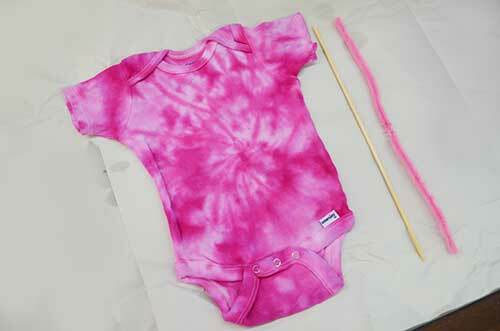 Here's a fun idea using a tie dye onesie that serves as both a decoration and gift for the mom to be! 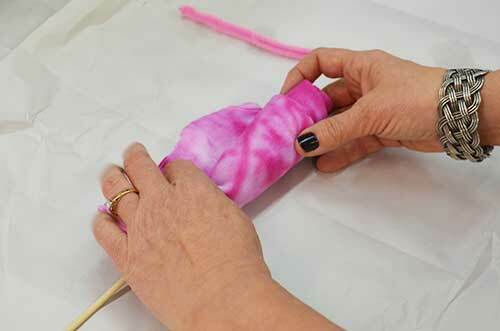 They are so easy to make too! 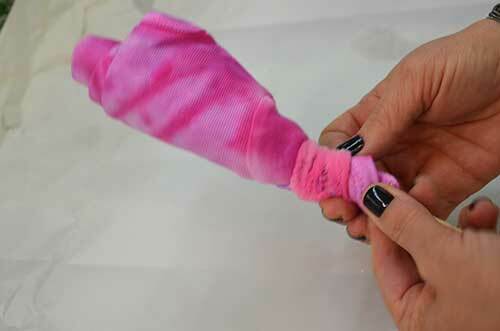 Fold your onesie in half. 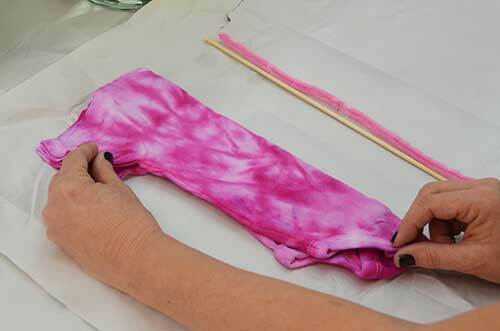 Place the skewer tip in the middle of the bottom of the onesie and start rolling upward. It will look like this when you reach the top. Now grip the bottom of your onesie and tightly wrap your pie cleaner around the bottom. It will look like this once wrapped around 3 or 4 times. 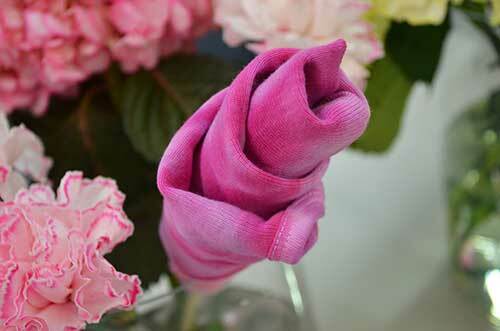 Now loosen the tightness of the rolled onesie so it looks more rose-petal like. 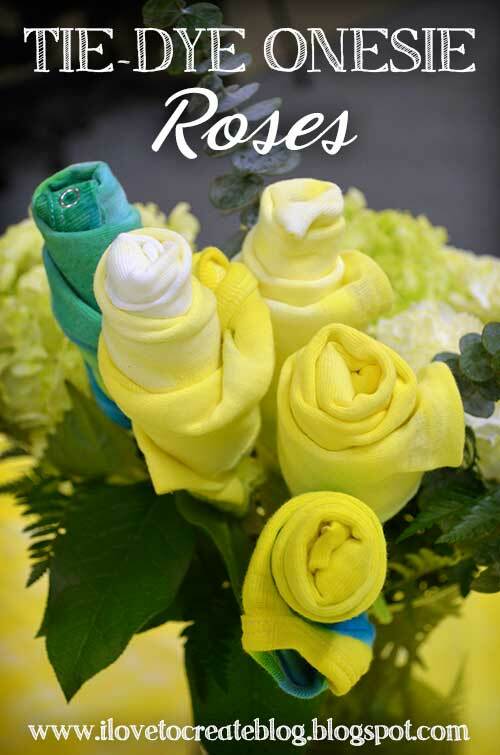 Bunch all your onesies together in a vase or poke into an existing flower bouquet for a touch of whimsy! 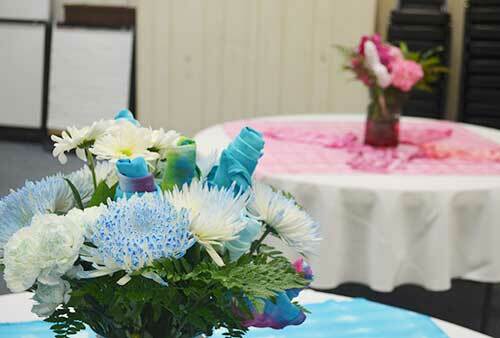 ...blue, green, pnk, and blue! 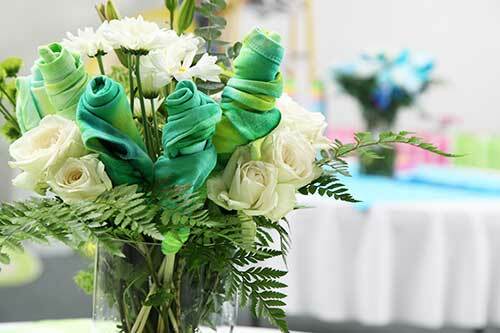 The roses turned out so cool and were the perfect lttle accent for our bouquets at the shower! 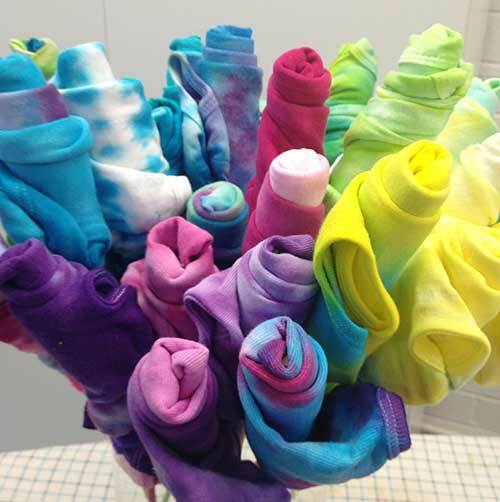 They even look great bunched together! 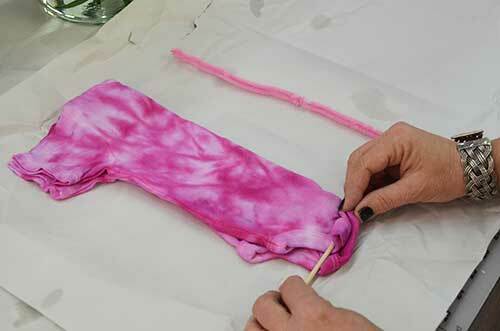 All this week we will be featuring the fun projects from our tie dye baby shower.